Sometimes creativity seems elusive. And if you can’t generate creativity on demand, your writing productivity declines. There are ways to draw on your creativity at will. In the process, your productivity will skyrocket! Here are five unusual ways for you to invite creativity to write with you and have your muse accept and show up for work. Spend time listening to the same piece of music over and over again. Whatever the ritual, it puts these people in the zone and helps them feel comfortable, confident and inspired to do their work. Approach writing in a similar manner. Develop a creativity ritual to use before every writing period. Approach this series of pre-writing actions “religiously.” I don’t mean spiritually (although you can), but as something you commit to regularly and consciously doing to connect with your creativity. Do it religiously. Think about it: A religious ritual is one performed intentionally on a specific occasion often to create a particular result. You want a ritual to invoke your muse so you can write. You can create an altar in your office. Every day before you sit down to write, go to your altar, light candles and incense, say a prayer or affirmation, and then sit down at your desk. Start writing. If that’s a bit too spiritual for you, put on the same sweatshirt, read a motivation book or quotation, dance around your office to uplifting music, or meditate for 10 minutes. Then put your fingers on the keyboard. Design a creativity ritual that works for you – something that helps you connect with your Muse or tap into the flow of ideas and words. Invoke your Muse! Then watch what happens when she arrives. If you want to increase your creativity – and productivity – start a side project. I can hear you complaining: I don’t have time to get my writing done let alone to start a side project! Uber and Gmail started as side projects—and grew into million-dollar and million-user enterprises. Google implemented a 20 percent rule that allowed employees to spend 20 percent of their time on things they wanted to do for fun and passion. As a result, the other 80 percent of those employees’ time became more productive and creative. San Francisco State psychology professor Dr. Kevin Eschleman and his colleagues researched the effect of creative hobbies on work. They discovered that those with a creative hobby were more likely to approach their jobs creatively. If you want to regenerate your creativity, don’t sit around watching television. Boost your creativity by seeking meaningful leisure activities. Side projects and hobbies provide a creative and fulfilling version of down time that rejuvenates your writing. Keep in mind that your side project in no way needs to relate to your work, nor does it need to end up earning you money, although it can. Choose an activity that inspires you and that you enjoy. Then notice the positive effect this has on your writing. 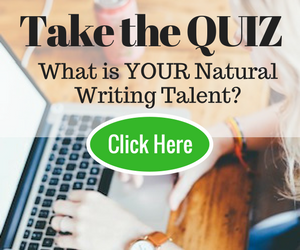 We all want to find the easy path to a successful writing career. However, for this to happen, sometimes you have to do things the hard way. Choosing a more difficult way to tackle your writing project can increase your creativity tremendously. Yes, you read that correctly. By making your project more difficult, you become more creative and productive. Dr. Seuss composed the manuscript for Green Eggs & Ham after betting he could produce a story using less than 50 words. Most of us naturally build off older or existing concepts when we create something new. Doing so can lead to less creative ideas. By placing restrictions on yourself while creating or brainstorming, like Dr. Seuss, you develop more creative ideas. In other words, you send your creativity into overdrive when you prevent yourself from relying on past successes as the foundation for current projects. If you need a creative boost to get the words flowing—and your project done—develop restrictions to go with it. If you usually write 2,000-word articles, write a 250-word short, for instance. If you write essays about your experiences, write one about the experiences of someone you know. Force yourself to use at least one new word—one you wouldn’t normally know—per page of your book. Restrict your project and watch your creativity—and productivity—expand. Most writers spend their time sitting in front of a computer at a desk in an office. To enhance your creativity, change your position and location. For instance, work lying down. Researchers discovered that people solve problems more easily when lying down rather than sitting up. Test this out: Take your laptop to the couch or bed. Or recline in a comfy chair as you produce your next great work. If that doesn’t work for you, stand up to work. Writing on your feet is good for your health, and being upright while writing generates new ideas, focus, and creative energy. Or take your work outside. Get out of the office… but not too far away! Try sitting outside your office – yes, outside. An interesting study proved that people who literally sat outside a box thought more creatively than those who sat in a box. You may not work in a cubicle, which is box-like, or in a cardboard box, but you can move out of the room in which you work and sit in the hallway! Put your back “against the wall” or door, and see if that spurs your creativity and productivity. Of course, working in nature, at a coffee shop, in the library, or anywhere other than your office can accomplish the same effect. Typically, I recommend that my clients work when rested and fully awake. That’s when we are all most creative and productive. But I often hear writers say they aren’t writing because they are too tired. They want to wait until they have slept eight hours and feel energized and alert. Stop using that excuse not to write. Studies show you can be quite creative when tired. Additionally, stop saying that you can only write in the morning or the evening. Time of day has little impact on your ability to solve analytical problems. Here’s why: Writing an article, blog post or book is a bit like solving a puzzle. This task requires getting past a block; you need to see the problem from a new perspective. If you consider yourself a morning person, it seems logical that morning would be your optimal writing time. But when wide awake you might be too focused to screen out ideas that don’t seem relevant. Try writing in the evening, instead. That’s when your inhibitions decrease, which lets stray thoughts enter your mind. The random thoughts combine with primary thoughts about your project, and, before you know it, you’ll have a creative solution for your writing puzzle. If you struggle with a lack of creativity, and, therefore, productivity, scheduling your writing periods during the time of day when you feel least awake. If you are a morning person, try writing at night. If you are a night owl, trying writing first thing after you wake up. (Bring your computer to bed with you so you can also recline!) Also, try brainstorming ideas when you get sleepy in the afternoon. These strategies should help you generate creativity on demand and become more productive as a result. You can discover additional ways to increase your creativity in my new book, Creative Visualization for Writers. Nina Amir is an Amazon bestselling author of such books as How to Blog a Book, The Author Training Manual and Creative Visualization for Writers (October 2016). For more information, visit www.ninaamir.com or check out her books at www.booksbyninaamir.com. Check out Nina’s November event–the Write Nonfiction. As writers, we need to create an accountability to someone else, a writing group, another writer friend, someone that can hold us accountable for our writing. You are right! Accountability makes a huge difference. I’ve run an accountability group for writers for several years now…works great! 2 years ago I wanna to be a best writter,..
Oooh, I will certainly try these out! Thanks for these awesome tips! Very helpful tips. I will try. However writing when you are sleepy doesn’t work. When you’re falling asleep in your chair that means your mind has shut down. However when you’re tossing and turning in bed and you can’t sleep, and then you go downstairs and sit down to write, that is sometimes when you get your best ideas. Great tips, and really helpful for me. This is another Great post Nina, thanks for sharing this excellent information with us. One of the best ways to inspire ourself and create every day is to develop rituals that we begin to use regularly and routinely. This will condition our brain for better creativity. For instance, our ritual might be reading in the morning, listening music, meditating for a few minutes or taking several deep breaths. Sometimes the opposite of creative block happens we just have too many ideas. While it’s good, it can also make us confused. We can sort thoughts up by keeping a list. Some people are more creative and productive in certain hours of the day, while others are more creative at the height of their emotions. Work with our heart out at these specific times and let our creative juices flow freely. Creativity can also be improved if we put ourself in a certain place in the room or if we surround ourself with certain music. This release of creativity works from person-to-person. There’s hard and fast rule what time of day, emotion or surrounding we should be to become creative. Thanks for your great support. Amar….I talk about rituals in Creative Visualization for Writers and I’ve written about them on my blog before (www.writenonfictionnow.com). I think they are super important. They definitely trigger your creativity. I find raking leaves, doing dishes, and ironing very inspiring — to the point where I drop the rake, turn off the water, or put down the iron to write whatever it is down. I also find great ideas come to me when walking my dogs. Then, however, I am forced to repeat whatever it is over and over under my breath until I arrive home. Fortunately, my dogs are very non-judgemental :-). If anyone wants to get involved in digital photography — or simply to draw pictures on your computer — I highly recommend GIMP (Gnu Image Manipulation Program) a free photo-shop clone that runs on pretty much any platform. The reason you get inspired when you do those activities is that your mind goes into a different state, like in the shower. Mindless activities allow unconscious thoughts and ideas to surface! I write as I walk or use the recorder on my phone. I write about what I see Out my window, at the doctors appointments as I wait, but I need to start writing at the library and the park.or other places I will try some of your ideas, they sound great. Thank You so much for your post. Many people record as they speak, and doing it while you walk sounds like fun! Exactly! A different part of your brain takes over that has access to new ideas! I usually write when I am wide awake. My fingers work best then, for typing. However, I like your idea about writing when you’re tired. I’m going to give that a try, and see how I do. Awesome. Or do mind maps or any other type of problem solving when you are sleeping–if writing doesn’t go well. Like most, I find excuses about why I’m not getting the writing done as I should, then I think about the process in a different light. For example, I was a former athlete and coach, and there were days that I didn’t want to train, didn’t want to motivate and teach. But then I’d think about my teammates and players and how they were counting on me, we had scheduled practice times that they, and their families, had paid for and counted on. Thanks again for giving us some tangible ways to overcome the lack of motivation, in the end, if it matters, we find ways. Yes, accountability is super important. I run an accountability group for writers, and they rock it! Your blog readers, for instance, also serve as accountability partners. They await your next post. I became a Certified High Performance Coach so I could help writers (and others) become accountabie…to themselves…and look at every area of their lives with the eyes of a professional. Like a coach or athlete, we must focus, level up, and constantly work at our craft and ourselves. The most productive writers sit down and write…not matter what…every day. The muse eventually joins them…or realizes it’s time to show up. If you wait for inspiration to hit, you might never write. But everyone has their own process. If yours works and you feel productive on a regular basis, more power to you. Of course I rarely go a day without writing something… even if it’s just a Faceache comment, or forum post, but I’m deliberately taking a short breather at present from my novel writing while I catch up on my own reading. My publisher’s away in the US for a month, so as he won’t be sending me any other authors’ manuscripts for editing, I can attack the backlog on my Kindle. How long it will last is anybody’s guess, as I’m already noting down possible themes to incorporate in my next novel. Keep at it… the good work that is… and the writing. Yes… it’s worked for me through six full length novels (two already published in paperback and Kindle… four in the queue with my publisher) as well as two shorter prequels to the series (both out as Kindle books). Why write at set times, if ‘the muse’ isn’t there at set times? Surely it’s better to write when you get the inspiration, or when the ideas begin to appear… rather than trying to conjure up ‘the muse’ when the muse has gone out for the day, or buggered off down to the pub, and doesn’t want to be bothered with helping you write. If I’ve got nothing worthwhile to write… I do something else till something comes to mind. I can’t force it. I start to write when an idea comes up. It might be at midnight, it might be while dozing in bed in the early morning… it might even be when I’ve got up in the night to take a leak. There’s been many a time when I’ve sat at the keyboard early because ‘the way forward’ came to mind as I awoke (possibly inspired by a dream), then later I would find myself thinking about breakfast at around nine o’clock… at night, with no idea where the time went. Similarly, there’s been times when I’ve been reviewing something I’d written, just before backing it up to a stick (just in case) before shutting down my Mac for the night. Then the elusive muse takes over, leading me to still be writing as the dawn is breaking outside. The whole idea of having pre-ordained writing periods seems pointless to me. You don’t start building a wall, if the bricks haven’t been delivered… likewise, you can’t start writing creatively if the ideas aren’t there. I came here expecting to see the usual advice but was pleasantly surprised. I’m guilty of not wanting to write when tired, but often find myself at my most creative then. Thanks for the great tips! I’m glad you read the post…and didn’t ignore it. I’m thrilled that I surprised you and provided a bit of food for thought. Thanks for your comment. It’s great to hear they worked for you! Write Sleepy? I never tried that before. But now I am thinking to give it a shot. Thanks for awesome content. I enjoyed reading it. I know! But you use your brain differently when sleepy. If not writing, then trying ideating! Tthese are very helpful tips that I will certainly try.